Great games always have a great team behind them. There are a variety of key skills that are needed to build the most amazing and immersive experience for our players, one of these being the role of a Designer. We caught up with Adam Smart, Designer on Sniper Strike: Special Ops at EightPixelsSquare to chat about his work, and receive some expert advice on what’s needed to break into the games industry. What has been your proudest moment in the gaming industry? It's an awesome moment when we release a new game after months (or years!) of work and get to see players having fun with the experience we've created. There are proud moments throughout development as individual elements of the game come together, but seeing the finished product out there on the app stores and in player's hands really drives home what we've accomplished - and really helps bring perspective to what we do for a living: creating fun! Working on live, free-to-play mobile games makes for a lot of moments like this as the worldwide launch is just the start. Our games are constantly evolving, and we get to launch regular major updates that bring new features and gameplay experiences to players. Who is your team's unsung hero? It would be unfair to single just one person out, as the truth is there is a massive amount of 'under the hood' work that goes into each of our games and it really is a huge team effort. EightPixelsSquare is focused on delivering AAA quality titles on mobile and it's a complex - sometimes daunting - and always fun process that we're able to accomplish by leveraging the talents of a hugely experienced team of coders, artists, animators, and Designers. What are the team currently working on? Our current focus is on creating great new content for Sniper Strike: Special Ops, refining the experience and giving the community more of what they love about the game. We're always exploring new concepts and ideas, and whilst we're not ready to share any info on our next project just yet, it's an exciting time to be a Designer at EightPixels! What advice would you give to someone wanting to enter the gaming industry as a Designer? To get your first job in the industry it's essential that you can showcase a great understanding of games design in your portfolio work, from best practices through to a deep knowledge of games and how you've applied this to your own designs. The first step to develop this is also the fun part... broaden your design knowledge by playing a lot of games! It's important that you look at the games you play as analytically as possible: a great game is composed of many design choices coming together to create a fun experience and by looking at how these systems are constructed, and how they all work together, you can really push your own work to the next level. Learning from other designers is just as valuable, and I'd really recommend doing this whenever you can. There are many great talks, articles and game post-mortems to watch and read across the net and looking carefully at how others evolve their design work, through both successes and failures, will broaden your knowledge and strengthen your own work. Your portfolio is really the key to demonstrating your design skills and landing your first job in the industry. The good news is that it's now easier than ever to get started, with a lot of awesome free software and modding tools that you can use to develop skills that directly transfer into your day-to-day job in the industry. Design is a wide discipline with many specialized roles, from systems and UX designers through to gameplay and level designers, and showing your focus and strength in the areas that interest you will really differentiate you from the pack when you apply. For example, if you love level design, creating amazing levels for existing games is the ideal way to demonstrate your capabilities. Creating your own game from scratch can be a great way to learn a broad range of industry skills, and it's essential for Designers to understand how all departments work, but where possible try to focus your portfolio on demonstrable design work that is relevant to the role. That way, you're making sure to showcase your strengths and create plenty of interesting opportunities for your future career. From 1998 to 2018, we went from Gameboy Colours to VR Headsets. What do you think we will have in 2038? Tech is moving at such an amazing rate that it's exciting to consider the types of experience we'll be able to offer gamers in just the next few years, let alone in 20 years time! Whilst it's almost impossible to predict what the long-term future holds, some things are for sure: games are getting bigger and better than ever, and with more people playing and more ways to play together, it's a great time to be making games! Looking to join the UK’s top AAA mobile games developer? 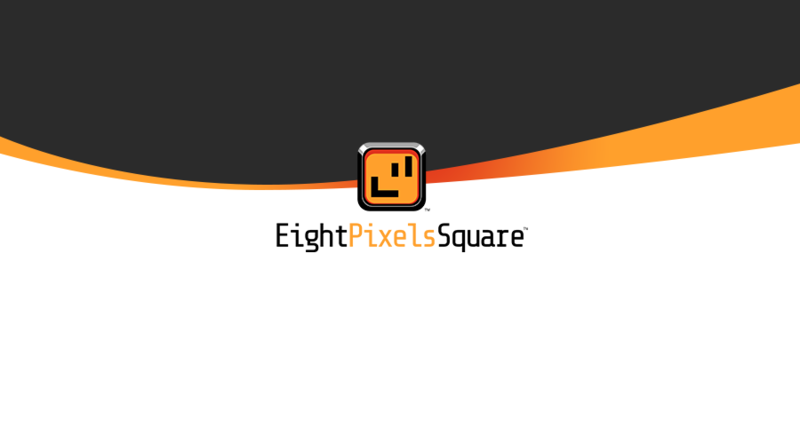 EightPixelsSquare are hiring now!